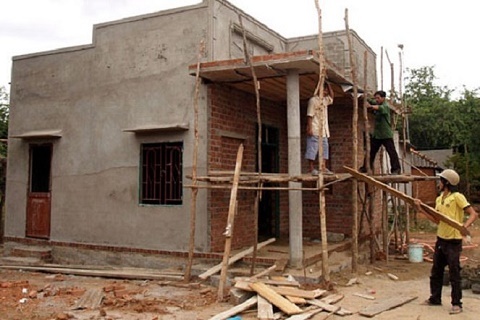 (VBSP News) - The Mekong Delta province of Tra Vinh will allocate over 23 billion VND (1 million USD) from the local budget to provide land for nearly 700 poor families to build houses. Vice Chairman of the provincial People’s Committee Tran Anh Dung said the programme aims to contribute to the province’s sustainable poverty reduction goal, adding that local authorities strive to give land to all needy families by 2020. Last year, the provincial People’s Committee promulgated an action plan to improve the quality of human resources and generate jobs for locals as well as mobilise financial resources to reduce poverty in disadvantaged communes, especially those inhabited by Khmer ethnic people. The Branch of the Vietnam Bank for Social Policies in Tra Vinh offered loans worth nearly 760 billion VND (32.8 million USD) for over 45,000 households to develop production. Implementing the project supporting socio-economic development in ethnic minority regions in 2017-2020, Tra Vinh has disbursed over 23 billion VND in loans to support 715 people to change jobs. The province also backed the provision of 515,000 health insurance cards for poor locals and supported over 1,400 students with rice and tuitions. In 2018, the ratio of poor households in the province dropped by 2.46 percent.